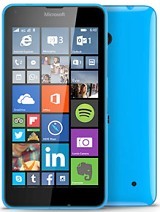 Got my Lumia 630 in black about a week ago and i must say that this is one of the best smartphones out there in its price category. Great performance great 5 mp camera, good screen and beautiful OS. This phone is great for business people because of office,one drive, vpn, one note, reading list,Cortana and very good email. One of the best things about this phone is that it is very smooth and fast, I am a heavy user so it makes using the phone a pleasure. It's true that other platforms have more apps and games but the ones on windows phone are decent and are getting better each day. 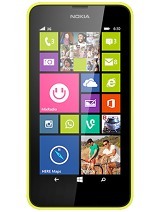 This phone is also great for music because of its many services like mixradio and Xbox music. You don't need to waist money on an expensive phone to get a great experience. AnonD-90768, 13 Sep 2014guys, hows this handset?? I'm really confused between L620 & L630. Help me out!! 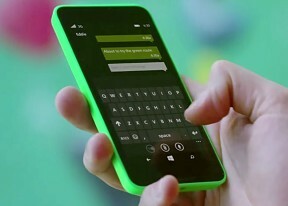 !Lumia 630 is a better choice, newer hardware, WP8.1 out of the box, slightly bigger screen and slimmer. Also very affordable, you get a lot of phone for the money. Unless you really need a front cam. 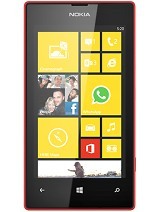 guys, hows this handset?? I'm really confused between L620 & L630. Help me out!!! gaurav bigg, 08 Sep 2014Sony Experia M is better is all aspect....630 will not stand in front of M.Experia M is the fu... moreXperia M is crap phn with junk OS. 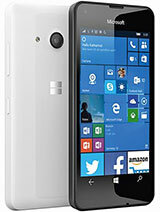 So dnt compare Junk with Lumia. 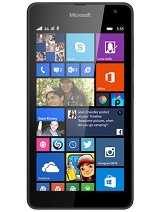 Ch quraish, 10 Sep 2014Should i buy this phone or not...im confused to purchase lumia but i want to buy just lumia n... moreGo for it, its a great phn. Using it since June without any problem. But if u want flash and ffc thn go for 625 or 730. 730 will released in Oct.
AnonD-4697, 11 Sep 2014Compare this with Lumia 620 is an really downgrade 4.5" vs 4.7" and no front camera,... more620 dnt have 4.7 inch screen, 620 has only 3.7 inch screen. And dats a old phn with old processor. AnonD-131714, 11 Sep 2014I don't get it. I have a 3.5mm jack and trying to listen music and my headset is not working. ... moreWhat is your headphone? Some headphone not supported. My old nokia headphn Wh-102 and Wh-205 not works with l630 but nokia WH-208 and Wh-510 works. Raggy, 12 Sep 2014I heard that this phone doesn't come with head phones nor usb cable.Well, I've heard that the ... moreIts a great upgrade over 520, but 525 has two benifit over 630 dat are 1gb ram and headphone in box. But 630 has quadcore, better display,big screen, dual sim, continuous auto focus, motion sensor. OK, never mind, the 3.5mm jack is working. This phone great.